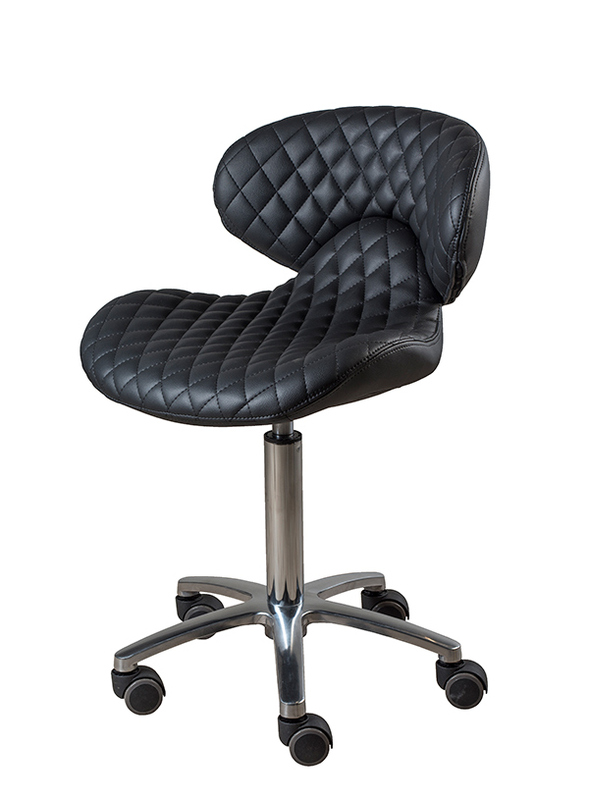 Like our adjustable manicure chair, our incredible pedicure stool adjusts easily and rapidly to provide your nail technicians with a comfortable, flexible seating option that also provides great lumbar support. Nail technicians may spend hours seated in relatively awkward positions, so it is very important to protect their backs and arms from undue strain. These chairs do that well and give technicians a comfortable way to get their jobs done.